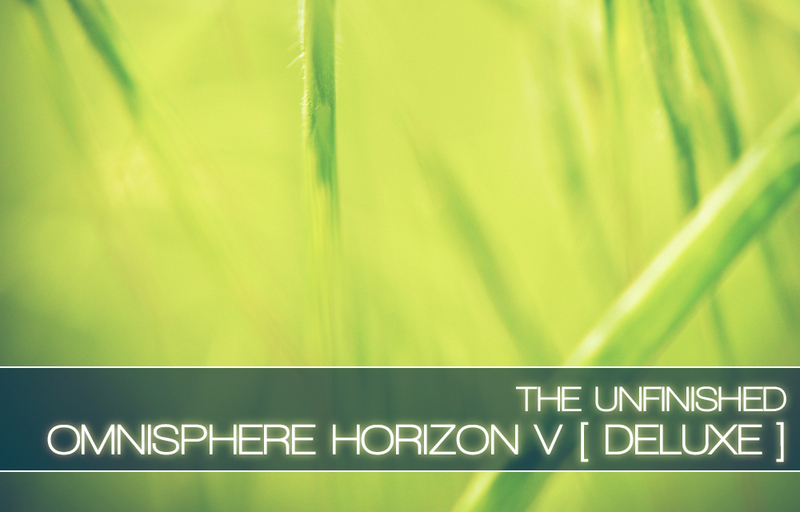 Omnisphere Horizon V: Deluxe is a collection of 195 patches for Spectrasonics Omnisphere. The Deluxe edition takes the original Horizon V of 128 patches and expands it to 195. Several of the patches from the extensive Arps + Rhythms section are re-worked in different time signatures (5/4 and 3/4) to give them extra life. Also, some of the sounds from the Arps + Rhythms section are transformed into individual, playable instruments. This adds a number of new basses, percussive noises and plucked instruments to the collection. Horizon V: Deluxe is squarely aimed at the television underscore and independent film scoring vibe. There is a strong blend of the acoustic and the synthetic: both growling and delicate string instruments meet dark and lush analogue sounds. Melding organic bowed textures, airy guitars and pseudo-folk vibes with bristling, warm synth classics and evolving techno pulses; this soundset captures the intimate, innovative spirit of scoring for the small screen, as well as films and games that steer away from the Hollywood aesthetic. This collection delivers haunting pianos, melancholic soundscapes, colourful guitars, eclectic strings, and supports them with impulsive basses, kinetic percussion, rich pads and robust synths. Strong influences for Horizon V: Deluxe include: Olafur Arnalds’ beautiful score for Broadchurch; the tense and emotional soundtracks for Nordic Noir favourites The Bridge, Wallander, Borgen and The Killing; James Newton Howard’s dark and powerful Nightcrawler soundtrack; the brilliant score for The Last of Us by Gustavo Santaolalla; and Johan Johansson’s eerie Prisoners soundtrack. Omnisphere Horizon V: Deluxe is priced at £24.99 +VAT. The original version of Omnisphere Horizon V is no longer available.